A tough mare who knows what she wants and is now putting it all together. She makes her own luck in running and doesn't leave anything on the track. Her manners have taken some work by Mick, Mel and team but she rarely puts a foot wrong now. WANTED (AUS) (Bay 2006-Stud 2010). 3 wins-2 at 2, VRC Newmarket H., Gr.1. Sire of 232 rnrs, 136 wnrs, inc. SW Leicester (SAJC Chairman's S., Gr.3), Mister Yeoh, Dead or Alive, SP Wazzenme, Sort After, Butch Kissidy - Unselfish Trust (Mac. ), Mystified, Badcoe, Surf Seeker - Sun Seeker (Sing. ), Rough Justice, Shaf, War Point and of Retosona, Salubrious, Wanted Diva, Want to Rock, Kalabek, Another Flag, Sirius Suspect, Amortentia, Don't Miss, etc. Sirius Star (g. by Fantastic Light). 6 wins from 1150m to 2000m, R384,635, Turffontein Racing Association H.
Beach Head (g. by Commands). 4 wins at 1400m, 1500m to 2017-18, MVRC Quest H., 3d MRC Master Yearlings Heat 5 H.
Hardly Surprising (All Too Hard). Winner at 1600m in 2017-18, 2d MRC Clanbrooke Racing H., 3d MVRC Alexandra S., Gr.3. Weinholt (Stratum). 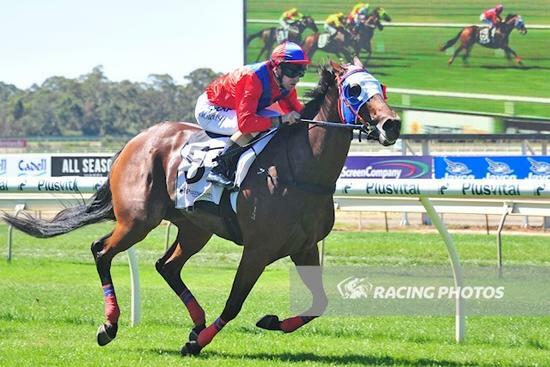 6 wins-2 at 2-at 1200m, 1400m, A$351,435, Ballarat TC Tonks P., MRC Geoff Murphy 2YO H., ATC Hyland Race Colours H., Sportsyear H., 2d VRC Henry Bucks Best Dressed S., L, Wyong Magic Millions 3YO S., MRC Charles Rose Jewellers H., 3d Sunshine Coast Cup, L, BRC Lough Neagh S., L, Falvelon H., L, MVRC Sweeney Can Do Agents H., 4th MVRC Mitchell McKenzie S., L.
Tuivasa. 2 wins at 1600m in 2017-18 in Aust. Ardra Storm (f. by Wanted). 4 wins. See below. Haiti (g. by Nadeem). 7 wins from 1100m to 2100m, A$107,750 in Aust. Ansila (f. by Elusive Quality). 3 wins from 1300m to 1600m in Philippines. Hangin' Tough (f. by Exceed and Excel). Placed at 3 in Aust. Ancelin (Sadler's Wells). 2 wins. See above. GANKO (Nakayama Festa). 6 wins from 1400m to 2500m, 160,541,000¥, to 2018, Nakayama Nikkei Sho, Gr.2, Kyoto Shorai S., Hanshin Esaka Tokubetsu, 3d Kyoto Nikkei Shinshun Hai, Gr.2. BULLBARS (Elusive Quality). 2 wins-1 at 2-at 1100m, 1400m, A$378,600, VRC CS Hayes S., Gr.3, MRC Canonise 2YO H., 2d VRC Australian Guineas, Gr.1, MRC Manfred S., L, 3d MVRC Bill Stutt S., Gr.2, Mitchell McKenzie S., L, 4th VRC Henry Bucks S., L, Sofitel H., L. Sire. 4 wins at 1300m, A$80,392, to 2017-18, 2d MRC Clanbrooke Racing H., 3d MRC Mypunter.com H.